Directed by Madeline Kenney. From Placeholder, out March 1 on Saddle Creek. When I was a teenager my parents had a sailboat we kept on Lake Macatawa in Holland, Michigan. It wasn’t as glamorous as it sounds and the experience is more accurately reflected in this video from Meg Duffy, guitarist in Kevin Morby’s band. Her project is called Hand Habits and the video could be me around 17. A kid wandering the marina with a great haircut but bored senseless playing with (but not kissing–gross!) fish heads and making shadow puppets. Maybe staring at a bit of trash floating in the harbor. It wasn’t a bad way to spend your teens. Me either, Meg. Me either. 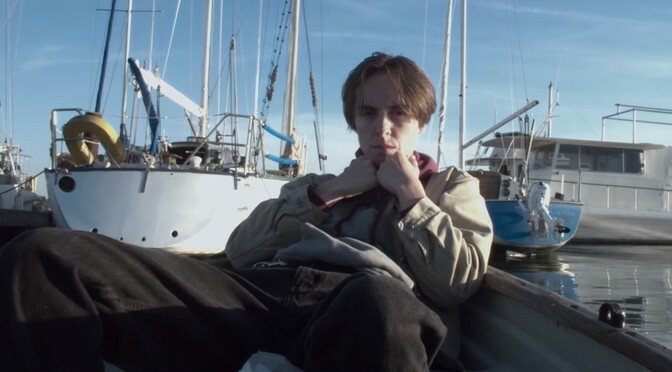 Hand Habits: web, twitter, amazon, apple, spotify, wiki.